Women who are considering Seasonique birth control should be aware of the side effects and drug interactions that are associated with this popular drug. Common Seasonique side effects include acne, gastrointestinal upset, and changes in vaginal bleeding or fluids. These and other Seasonique side effects are common during the first three months of use, but often subside as the body adjusts to the hormones in the treatment. Other, more serious, side effects may occur in a small number of Seasonique users. Seasonique contraception treatments result in more serious side effects for some patients. Although serious Seasonique side effects are considered uncommon, they can occur. Unwanted pregnancies are a potential side effect of any birth control method that is not used correctly. To avoid Seasonique side effects such as unwanted pregnancy, always take the medication as prescribed by your doctor and at the same time each day. It is also important to avoid any medications or products that may increase, or decrease, the effectiveness of Seasonique. 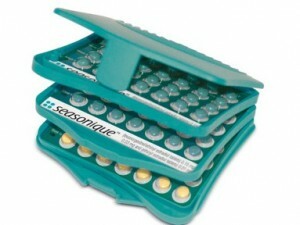 Women who have just started taking Seasonique should use a backup birth control method for the first one to two months of treatment; consult your doctor for more information. Let your doctor know immediately if you experience any of the uncommon, but serious, side effects associated with Seasonique. Depending on the symptoms and their severity, your doctor may choose to adjust your dosage or discontinue Seasonique treatment altogether. In some cases, your doctor may advise you to discontinue treatment temporarily, such as before going into surgery, during a period of bed rest or before a long flight. 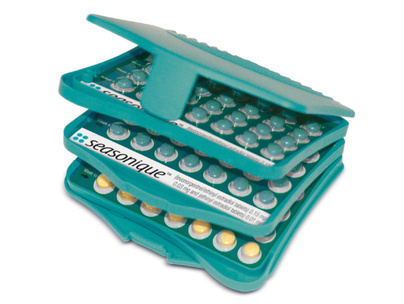 Seasonique is an effective medication for many women who are looking to prevent unwanted pregnancies and reduce the number of menstrual cycles they experience. However, the many potential side effects and drug interactions associated with the Seasonique may make some women wary. Talking to your doctor will help you decide if Seasonique is right for you.